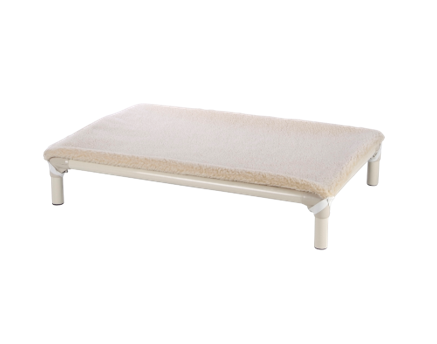 Why not add a bed pad to your Kuranda Dog Bed to provide your dog with additional comfort. Kuranda Canvas Bed Pads are made with super tough CORDURA® and sewn with a layer of extra thick padding inside. They are perfect for dogs with allergies and make cleaning a breeze. Our Canvas Bed Pads provide higher resistance and durability than our fleece pads, even our kangaroo friends at Wild2Free cannot take on the heavy CORDURA® material. 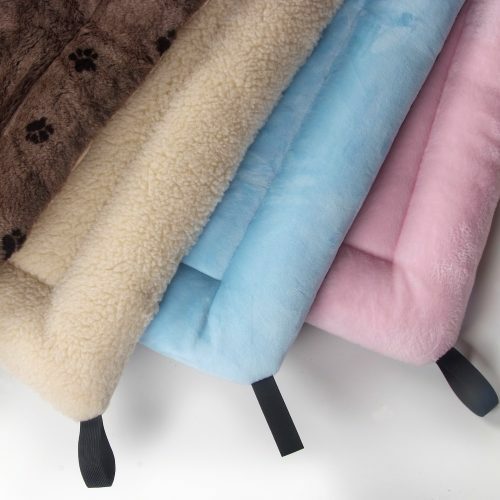 The Kuranda Reversible Fleece pad offers the comfort of a soft cuddly fleece on one side, and the softness of microsuede on the opposite side. These pads have a thick durable inner and a sponge like edging for dogs to rest their head. Reversible pads come with a 30 day manufacturers warranty against defects, they are not chew proof and are not recommended for destructive dogs. Add a thick double sided fleece pad on top of your Kuranda bed to provide your pet with maximum softness and comfort. This item is for use on the Standard PVC or Aluminum Dog Beds and crate beds.